Recently, a reader asked me whether the Apple App Store actually requires developers to comply with the different user privacy preferences that Apple allows users to set (for instance, “Limit Ad Tracking”)? 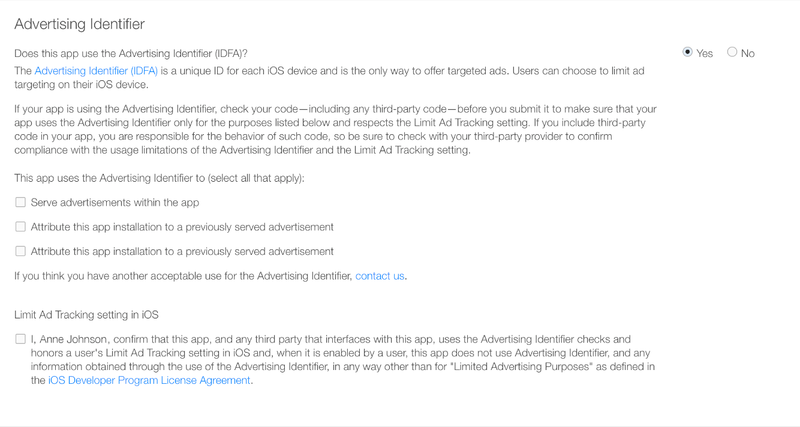 To Apple’s credit, finding the answer was not difficult, and was actually heartening: yes, Apps must comply with Limited Ad Tracking choices. In the current documentation on Apple’s App developer website says that the new standard, having to declare what Apps do and don’t track, must be respected (“Your app must comply with IDFA usage in order to be approved by App Review.” Submitting the App to App Review) What is IDFA you ask? IDFA is the “Advertising Identifier”.